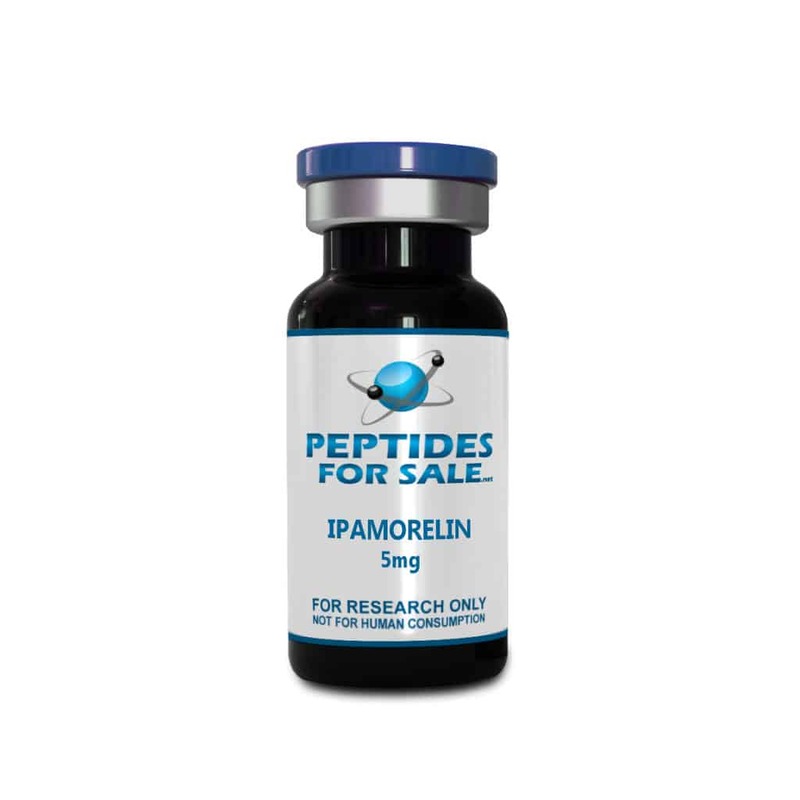 Buy IPAMORELIN at Peptides For Sale. For the best quality peptides and research chemicals, Peptides For Sale has what you need. Ipamorelin is a penta-peptide hormone (Aib-His-D-2-Nal-D-Phe-Lys-NH2), a growth hormone secretagogue and a small molecule ghrelin mimetic developed by Novo Nordisk. Ipamorelin belongs to the most recent generation of GHRPs and causes significant release of growth hormone. Similar to GHRP-6 and GHRP-2, it suppresses somatostatin and increases the stimulation and release of Growth Hormone (GH) from the anterior pituitary. Currently, there are few clinical trials involving Ipamorelin, which were first being studied in the 90s. Somatotropes are the cells that are responsible for producing and releaseing GH.